YOUNG LADY WRONGLY ACCUSED BY KUANYEWISM - DEFAMATION CHARGE ON THE WAY? At times like this, it is amazing how Singaporeans band together and keep the kampung spirit alive. But, what if someone is wrongly accused? This is what happened to Miss Cherry Tan, the poor girl who is a student in SIT instead of the UOB employee that was made out. 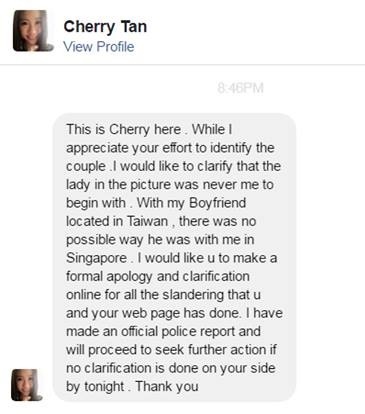 Also, Miss Cherry Tan's boyfriend is currently in Taiwan, which is impossible for him to be popping in the video anytime. 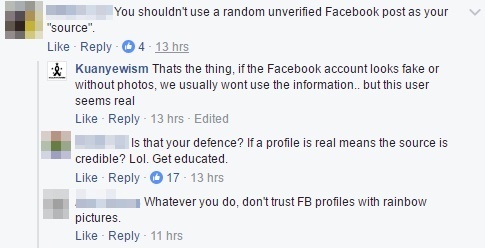 These fake news spread by Kuanyewism and Ang Tock Sheng has caused this young student much distress, after being bullied by netizens online. 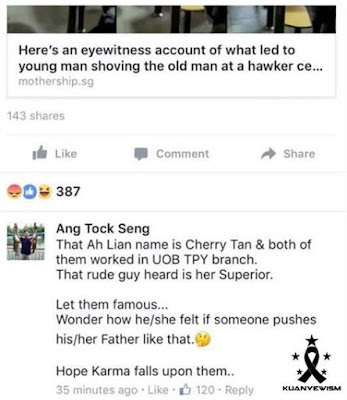 Miss Tan's friends and family has been trying to clear her name as it is ridiculous to blame someone without factual evidence, but Kuanyewism response seems slightly...threatening? 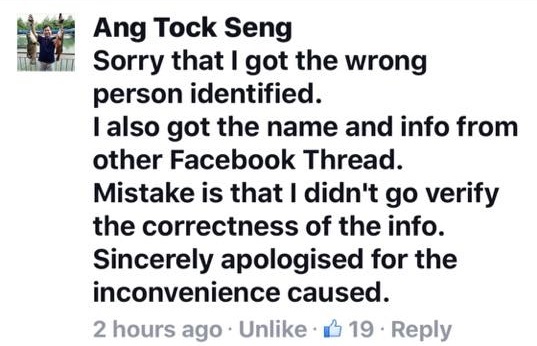 Since then, Mr Ang has also stepped out and apologised on the comment thread. 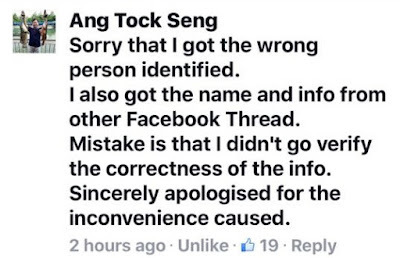 Miss Tan has also stepped out and voiced her thoughts on the matter and appreciate if Netizens could let it go as a police report has been lodged. So what do you think about this matter? Let's hope the culprits of both matters can be dealt with respectively and the victims can find peace.